In the world of numerology, 52 represents learning and expanding horizons. That is particularly apt for WA’s Otherside Brewing Company, which from this week will mark the opening of an exciting new entertainment hub in Fremantle with an ambitious plan to educate consumers by delivering a different beer for each week of the year. Freo.Social has had a few practice runs in the past week as it prepares to open to the public. And Otherside head brewer Rhys Lopez has also had a play on the freshly-installed 500-litre brew kit that is on public display in one part of the multi-section complex a drop punt from Fremantle Oval. Lopez hasn’t set the calendar of brews just yet. But he knows he has to stretch the boundaries to be in keeping with the ethos of the venue. Hospitality and festival management group Triple-1-Three has turned a nearly 125-year-old former artillery hall into a multi-faceted entertainment facility that according to company chief executive Al Taylor will provide a new experience with each visit. “Every time you come to Freo.Social there will be a different beer on offer,” Taylor said. “There will be a different band, comedy act, live music session, even food to enjoy. “It is our ethos that this place certainly won’t be static. In three years Otherside has gone from an idea spawned by local entertainment producers David Chitty and James Legge to have an in-house beer at the festivals run by Triple-1-Three to being one of the fastest growing breweries in WA. And it is steadily expanding to the east coast. Last May, after almost 12 months operating as a gypsy brewery, Otherside opened its production facility in Myaree, 8km east of Fremantle. But while that establishment had a small cellar door the Triple-1-Three plan was to get bigger with the facility near the port. The Freo.Social buildings were originally constructed in 1895 as the Fremantle No.2 Battery Field Artillery Hall. Aptly, it was also used for military social events. It also staged Australia’s first badminton tournament in 1900 after eight racquets were brought back from a voyage to England by a senior officer of the Artillery Corps, Captain GF Moore. During recent renovations, plenty of ancient shuttlecocks were discovered and will be on display at the venue. However, the hall was best known in recent times as the Fly By Night Club, which staged music concerts. The main hall has been renovated and remains a live event room capable of hosting 550 people. 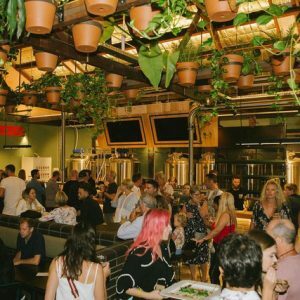 But Freo.Social has a large beer garden that will run with or without events, two courts for a rotation of five food trucks, indoor bar, space for artistic creatives wanting to develop or rehearse and even a children’s play area. 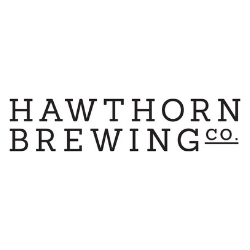 The new hub has 56 taps throughout the labyrinth of spaces and Otherside’s core range of beers, including the first product it released, Festive Session Ale (4.2%) plus Social Classic Lager (4.7%), Anthem India Pale Ale (6.2%) and Harvest Red Ale 5.4% – all made at the Myaree brewhouse – will be on offer. There will also be examples from the brewery’s Pilot Series, such as Vinyl Black Ale (5.9%), and the Experimental group, currently headlined by Banana Shake IPA (6.4%). Plus there will be the 52 weekly beers from the 26,000 litres Otherside is aiming to deliver each year from the in-house micro-brewery. Freo.Social, which will employ up to 70 staff across the facility, will start business on March 20 and will be open Wednesday to Sunday from 11am to late. The first event for the event hall will be an Intimate Evening with John Butler on April 3.